LNB Towbars & Vehicle Extras Limited, 1152 Aztec West Business Park, Almondsbury, Bristol, BS32 4TF. If your current car cannot be towed on an A Frame, you change cars regularly, or would just prefer a trailer, we are here to help. 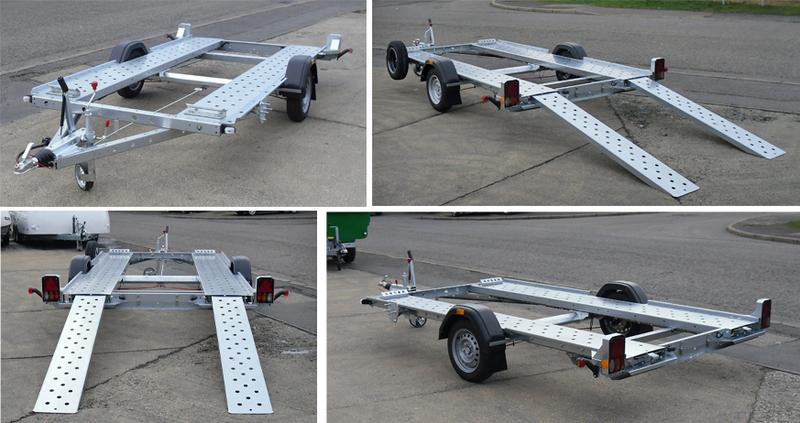 If a small car trailer is what you need, LNB Towbars and its professional team can help you ascertain what size trailer you need, and supply you with the perfect match. Give us a call on 0117 9694955 with the make model and year of the car you want to transport, and we'll do the rest.